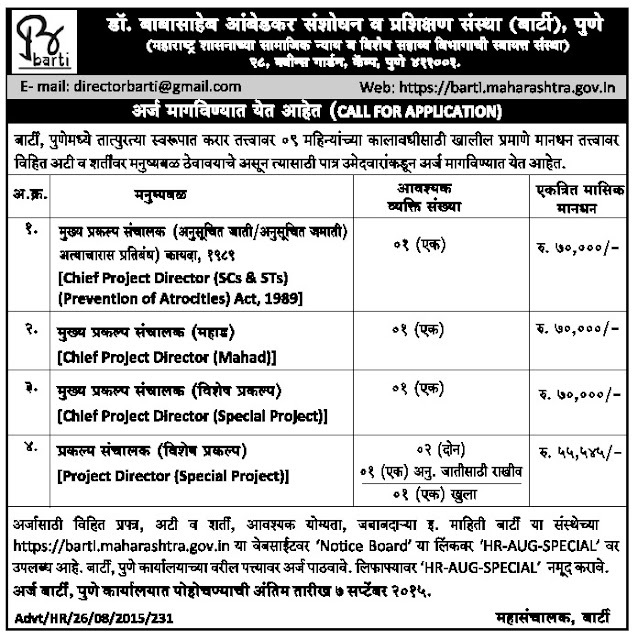 BARTI Pune Declared an advertisement for recruitment of various posts. There are total 7 vacancies under this recruitment process. Interested & Eligible candidates can apply for this recruitment on or Before 7 September 2017. More details given below.